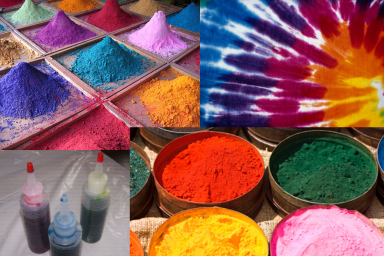 Question: What is Fiber Reactive Dye? "I heard that tie dye powder is 'fiber reactive' dye. What is this and which fabrics can I use it on?" Answer: Fiber reactive dye is a dye that can react directly with the fabric. That means that a chemical reaction happens between the dye and the molecules of the fabric, effectively making the dye a part of the fabric. This is why fiber reactive dye is permanent; clothes dyed with fiber reactive dye can withstand many washings and still retain same vibrant color.